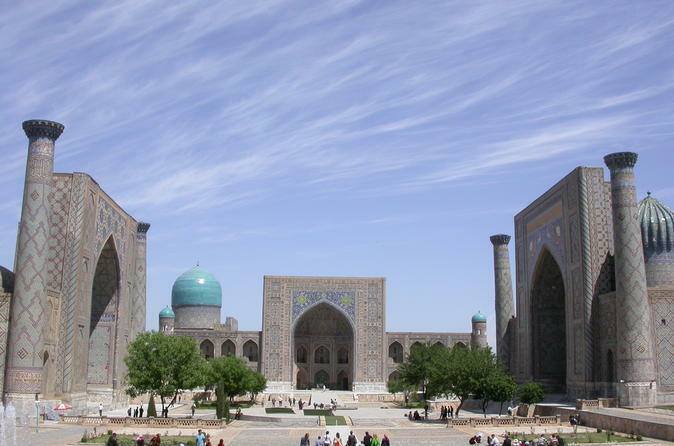 During this trip you will visit historical cities such as Tashkent, Bukhara and Samarkand. 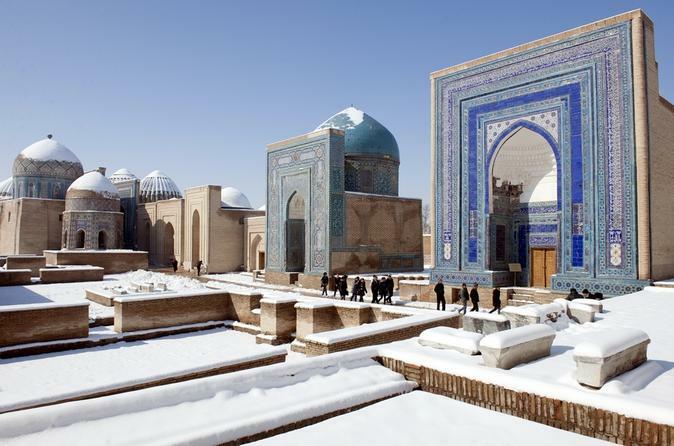 Samarkand – one of the most ancient cities of the world was formed approximately in V BC. Bukhara is one of the most ancient cities of Uzbekistan(more than 2500 years). Tashkent is one of the most ancient cities in Central Asia. It has been founded more than 2 thousand years ago. 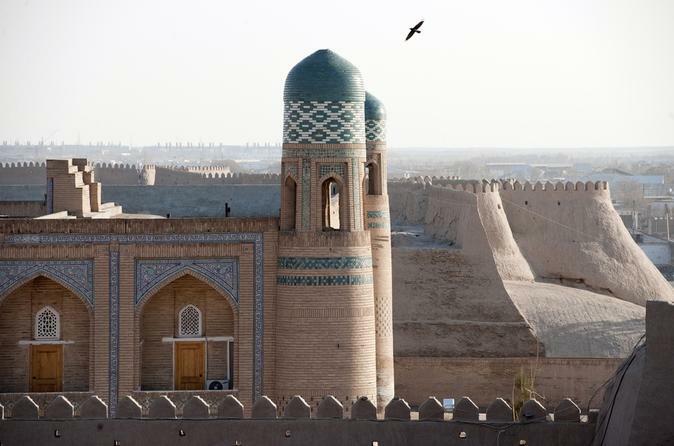 Uzbekistan is the ancient cultural center and the most exciting country in Central Asia. Located between Amu Darya and Syr Darya Rivers, Uzbekistan was also at the intersection of the Great Silk Road routes along which merchants, geographers, missionaries, and later tourists traveled. 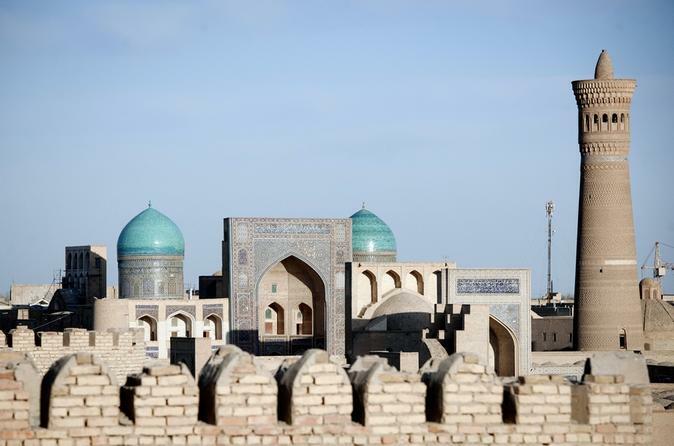 Book this tour to discover ancients cities of Samarkand, Bukhara, and Khivaalong in Uzbekistan! Welcome to Samarkand, the famous capital of the 14th century Timurid Empire. Samarkand is one of the oldest inhabited cities in Central Asia, prospering from its location on the Silk Road between China and the Mediterranean. Uzbekistan, one of the most beautiful and special places in the world. This trip takes you to magical cities of Uzbekistan including, Samarkand, Bukhara, and Khiva where an old saying described: "you can travel through the whole world, have a look at the pyramids and admire the smile of the Sphinx; you can listen to the soft singing of the wind at the Adriatic Sea and kneel down reverently at the ruins of the Acropolis, be dazzled by Rome with its Forum and Coliseum, be charmed by Notre Dame in Paris or by old domes of Milan; but if you have seen buildings of Samarkand, Bukhara and Khiva, you will be enchanted by its magic forever."